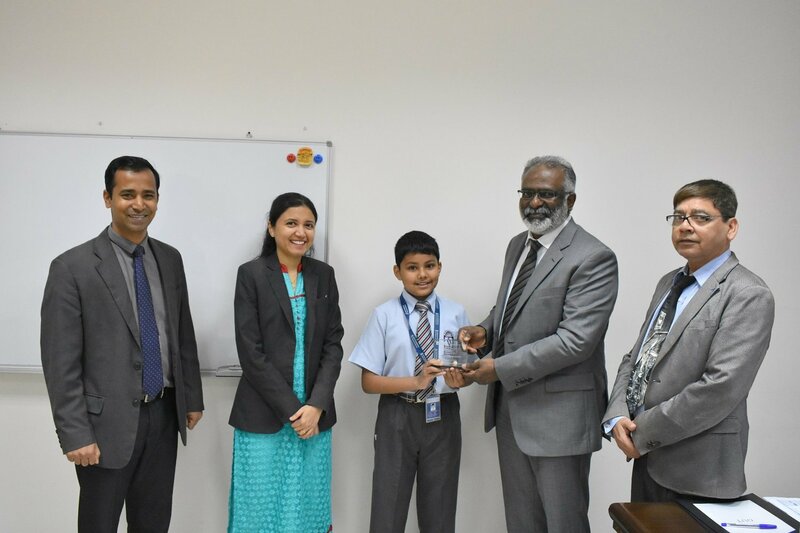 Huzaifa Maab Ahmed, of Shantiniketan Indian School was recognized for his commendable performance in the International Benchmark Test 2017 for achieving the highest score in English for grade IV in the Middle East. His diligence and pursuit had earned him the International Benchmark Test award for excellence which also carried a cash prize. SIS family congratulated him for bringing laurels to school.